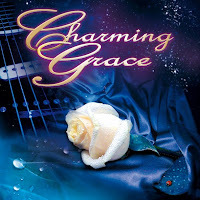 Rock & Metal 4 You: CD-Review: Charming Grace - "Charming Grace"
CD-Review: Charming Grace - "Charming Grace"
Hey folks, here we go again with another review of an AOR project. Yeah, I know what you may think now: "AOR again?". This is not just an AOR blog, but at the moment there are so much of this releases in the pipeline and I get lots of requests from bands of this genre to review them. Same with Charming Grace - a new project from Pierpaolo "Zorro 11" Monti (drums – Shining Line, Lionville), Davide "Dave Rox" Barbieri (lead vocals & keyboards – Wheels Of Fire) and Amos Monti (bass - Shining Line, Lionville). You see we deal with very experienced musicians here and I loved the Shining Line record in 2010, let's see what this indirect follow-up has to offer. I know, Charming Grace and Shining Line are seen as two different things, but nevertheless you'll find lots of similaritys between those two projects. Number one: it's pure AOR/melodic rock in 80's vein. Number two: same songwriters. Number three: a bunch of guest musicians doing duets. 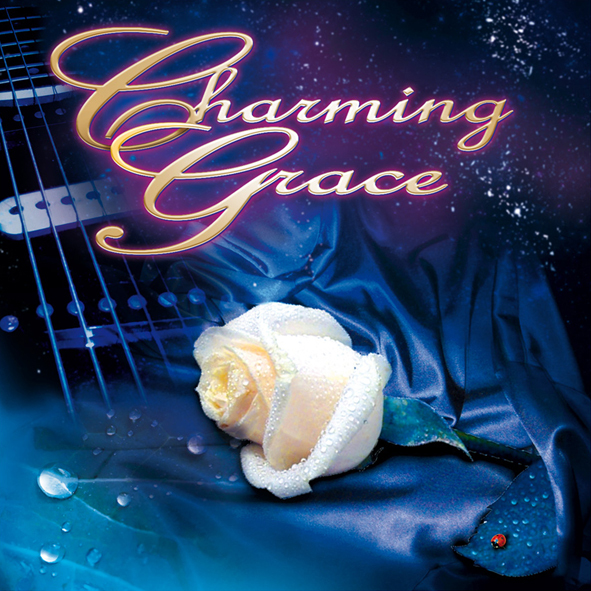 Especially the concept with the duets is expanded on Charming Grace. To give this project an own identity all songs are sung by one main vocalist (Dave Rox) while the featured duet partners are picked individually for each tune. This is a blessing ... and sometimes a curse, but later more on that. Let's talk about the guests. 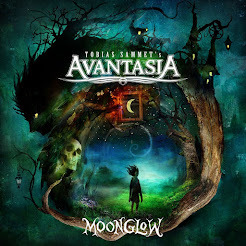 The list is pretty long: Nick Workman (Vega), Moon Calhoun (Michael Thompson Band), David Forbes (Boulevard), Gui Oliver (Auras), Michele Luppi (Secret Sphere), Thomas Lassar (Crystal Blue), Alessandro Del Vecchio (Edge Of Forever), Josh Zighetti (Hungryheart) and many, many others take the songs to another level with their perfect vocal performances and individual singing styles. Everybody is doing an amazing job here. Also the instrumental fraction is first class: Members of Lionville, Vega, Danger Zone, Hungryheart, Hardline, Human Zoo, Edge Of Forever and many more take care of a truely magic and excellent sound. Guitars and Keyboards fit together very well and are used equally, so you don't have the Keyboard overkill. But what about the songs? Like I said the idea of this project is to present you songs in the typical 80's style with tons of vocal harmonies, sugar sweet melodies and soaring guitars. Every single track is catchy as hell, so it is very hard to pick out some songs. "Still Dreamin'", "Just Take My Hand", "Run Away", "Endless Flame" and the cover "Leave A Light On" are truely magnificent AOR tracks. It's the same with the other tunes: You just have to know what to expect, then nearly every song is a winner (ok, beside the slushy ballad "Bring My Life Back"). That means don't expect Hard Rock here. This is a more soft and smooth album, but it fits perfectly to the summer time. If you're sitting outside in the sun this is the perfect album to chill out. If you are into this style and you don't need metal riffs, then this project will make you very happy. As an old Bon Jovi fan I have to point out one cover Charming Line did on this album: "Everybody's Broken" was released on Bon Jovi's "Lost Highway" record in 2008 and first thing that came to my mind when I read this song here in the list was: "WTF, why you guys choose this boring pop/rock song?!". Bon Jovi did so many amazing tracks in the 80's which would have fit on "Charming Grace", but the masterminds chose a boring ballad from 2008. Don't understand that, but nevertheless they present it in the typical Charming Grace style so this song sounds much more like an 80's track and is of course much better than the original version from Bon Jovi! Well done! Now let me tell you something about the "curse" I mentioned at the beginning. I like the idea of having a main vocalist, but why it has to be Dave Rox? He is a good singer, but I mean he sings with much Italian accent. His vocal style sounds a bit weird at times. It's ok, but you have to get used to it. So the problem is you recognize this even more if you put such high-class vocalists on his side. The vocal harmonies are there, it fits together very well, but to me Dave can't reach the high level of his duet partners on some tracks. But this is the only thing I can criticize here and others may overlook this. Matter of taste. Point. Finally Charming Grace don't need to hide from Shining Line. This new all star-project is another winner with its harmonies and catchiness. It's simply one of the best AOR releases you can get this year. So if you are still looking for your summer holiday soundtrack - here it is. 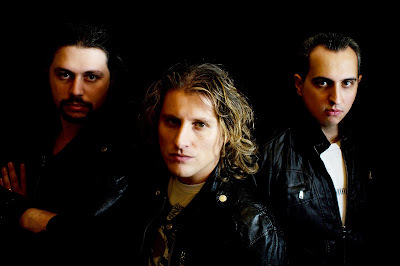 Very recommended to each Melodic Rock fan! Amazing AOR album and a big surprise for me. I enjoyed a lot the debut album of Shining Line, so I was happy when I heard that the two Montis were working on a brand new melodic rock release. The idea of making a duet in each song with a different guest it's something really original in my opinion, and offers to the listener a huge variety of vocal harmonies: a thing that personally I love in classic melodic rock music! Recommended stuff! CD-Review: BlackRain - "It Begins"
Guitar player Dave Dalone leaves H.E.A.T.! CD-Review: Robin Beck - "Underneath"